Whether prosecuting or defending a claim for lost profit, it is critical to identify and quantify the economic damages. Lost profit can result from many causes – including breach of contract, fraud and patent infringement – that can greatly affect your business. To recover or refute lost profit damages, they must be explained – clearly and persuasively — to the jury. A qualified CPA expert witness can help you determine and elucidate the lost profit. Experienced lost profit experts at Thomas Neches & Company LLP can accomplish these tasks for you. Here is a simplified case study of calculating lost profit for a business. The first step is to determine the company’s historical sales. These are presented in the graph below. 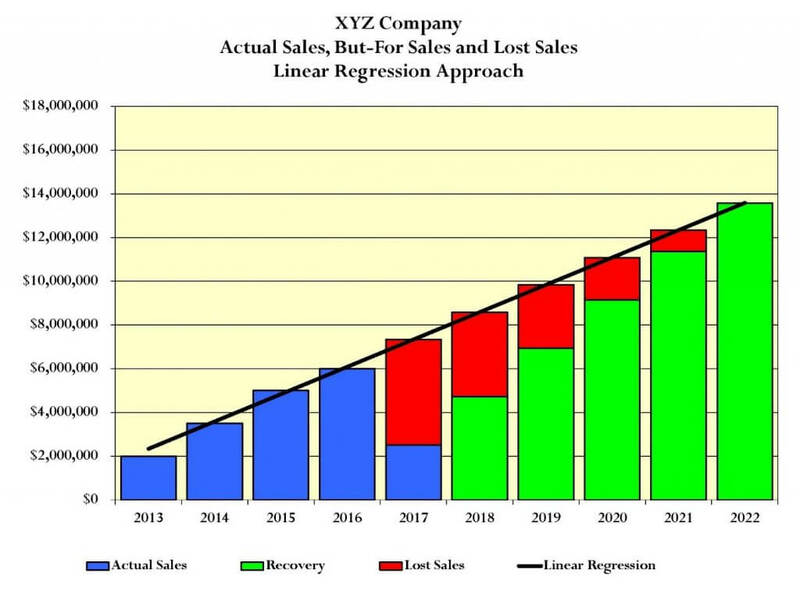 In this example, we chose the linear regression approach to projecting sales, as shown in the graph below. 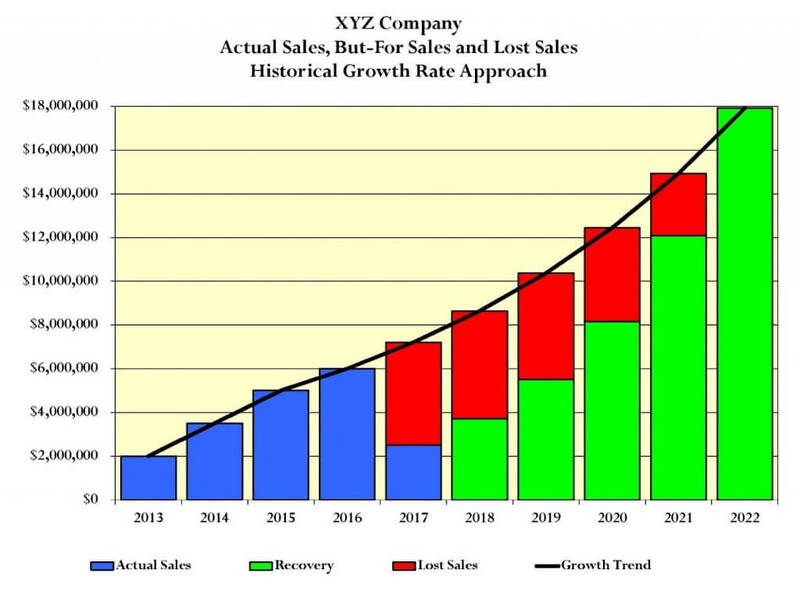 An alternative approach to projecting sales could have been the historical growth approach, as shown in the graph below. 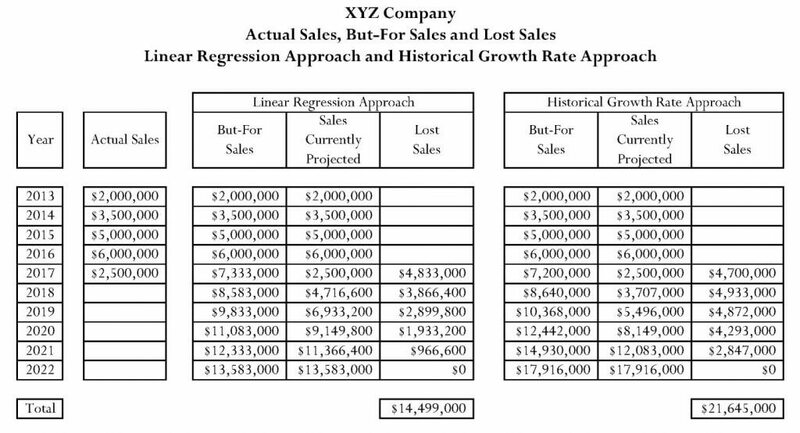 In this example, the historical growth rate approach results in significantly higher lost sales than the linear regression approach. This is shown in the table below. Regardless of how lost sales are determined, it is important to understand that lost profit, not lost sales, is the appropriate measure of damages. Two of the most commonly used measures of profit are “marginal profit” and “average profit.” In calculating the marginal profit associated with lost sales, one subtracts all the additional costs that would have been incurred if the lost sales had been earned. 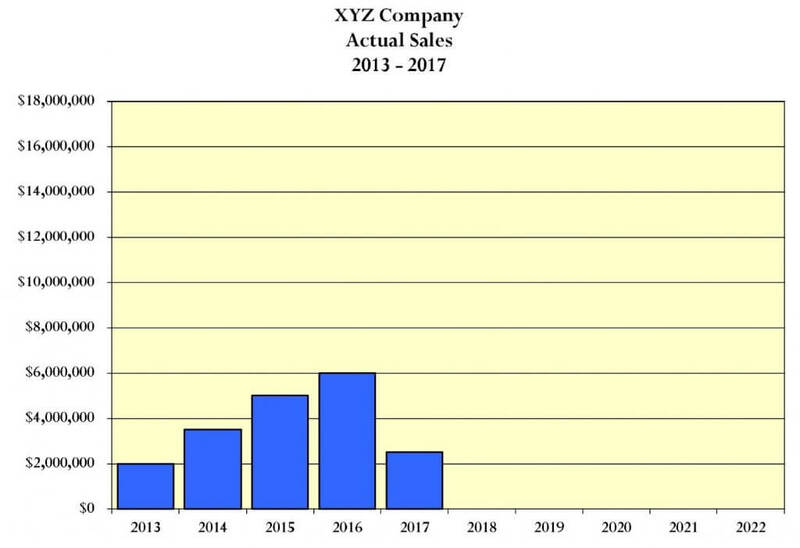 Typically excluded are overhead costs like rent or officers’ salaries, which would not have increased if XYZ Company had earned the lost sales. In calculating the average profit associated with lost sales, one subtracts – on a pro-rate basis – all costs the company incurred. 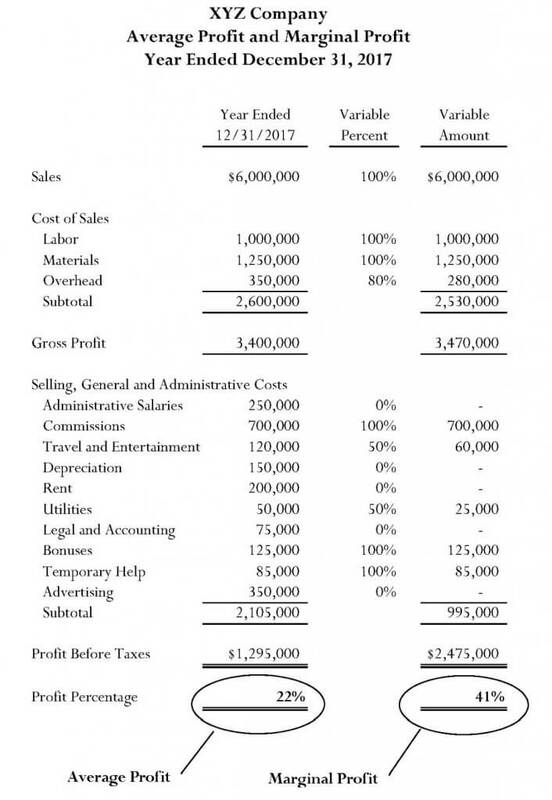 As shown in the table below, using marginal profit versus average project may result in significant difference in calculated profit as a percentage of sales. The final steps in calculating lost profit are to apply the appropriate profit percentage to lost sales and to discount projected future lost profit to present value.The choice of discount rate has a significant impact on the resulting calculated lost profit.The table below shows lost profit in which lost sales were determined using the linear regression approach, to which the average profit percent is applied.Calculated lost profit is discounted to present value at two alternative rates, 8% to 15%. An alternative calculation determines lost sales using the historical growth rate approach, to which the marginal profit percent is applied. When you need a CPA expert witness to perform these calculations, and to justify them to the judge and jury, look for an expert with experience: Thomas M. Neches, CPA/ABV/CFF, CVA, CFE. IF YOU HAVE ANY QUESTIONS, PLEASE CALL THOMAS NECHES DIRECTLY AT 213.624.8150.